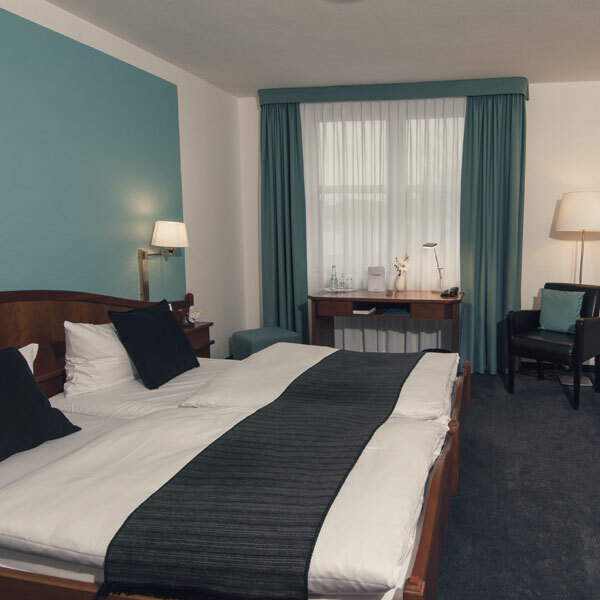 Our rooms are available in three categories: single bed, double bed or two bed. For booking a valid credit card is required. All prices may vary slightly during faires in Cologne and Düsseldorf, please ask beforehand and we’ll reply to you promptly. 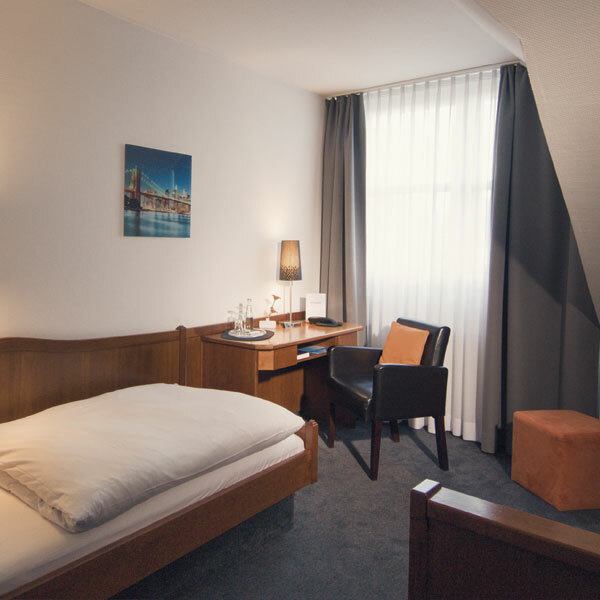 You can inform yourself through our booking form about availability of our rooms for your desired days you wish to stay. In case the form doesn’t answer your inquiry feel free to contact us by phone or e-mail. The 39 rooms behind the landmarked facade of the „Frechener Schützenhaus“ are inviting to stay and getting some rest. 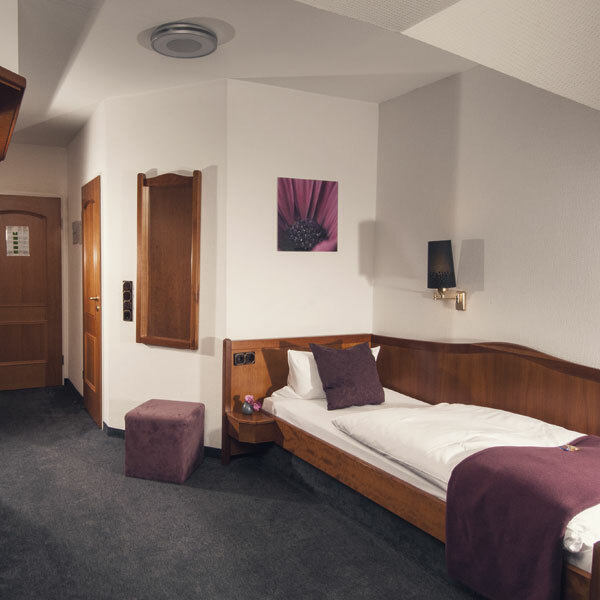 They offer plenty of room and provide everything a 4 star hotel requires. +49 (0) 2234 – 9 57 00-0 call us if you have any question!